If you're searching for an intelligent and energetic dog to become a part of your family, consider adopting a Papillon. The Papillon is a small, adorable dog with a lot of personality. Papillon dogs are put up for adoption for many reasons, but mostly because their owners are not able to make a long-term commitment to their care. There are several organizations that have Papillon dogs available for adoption, including rescues specific to the breed and rescues that try to find homes for all types of adoptable pets. Papillon Haven Rescue is a group of individuals living across the United States who volunteer for the purpose of protecting and saving purebred and non-purebred Papillon dogs. Papillon Haven has dogs in foster homes across the United States. Applicants must complete an application, be over the age of 21 and there must be no children in the home under the age of 6. Homes must have fenced yards and homes with large dogs will need extra scrutiny to make sure it's a good match. Veterinary and personal references are required as well as a home visit. Papillon 911 Rescue and Adoption, Inc. This rescue organization focuses primarily on rescuing Papillons from puppy mills and this makes up about 90% of the dogs they have available. The rescue places dogs all over the country although the majority of the dogs in foster homes are located in the southeast, including Virginia, Georgia and Florida. An adoption application is required, along with veterinary and personal references, and a home visit. You must transport the Papillon personally from the foster home. Adopters must be 21 years of age with no children under 8 in the home. Some dogs will require that you have another dog in the home or that you adopt two so they have a companion. Large dogs may be acceptable on a case-by-case basis but homes with multiple large dogs are not allowed. Homes must have fenced yards. Papillon Pals Rescue is headquartered in Jacksonville, Florida and only adopts dogs within a 250-mile radius of the city. An adoption application is required with personal and veterinary references and a home visit. Adoption fees vary by dog but range from $100 to $600. The adoption application is available on their website but the most up-to-date listing of dogs is on the group's Facebook page. PRONE is a volunteer group that focuses on rescuing Papillons and Pomeranians and is headquartered in New Hampshire. An extensive adoption application is required along with a $10 adoption application fee. Headquartered in Maryland, PapAdopters is a multi-state rescue group with dogs in foster homes. A phone interview, application, veterinary and personal reference check, and home visit is required. Adopt-a-Pet - This website boasts the largest database of shelters and rescues in the U.S. You can enter your zip code and your breed of choice to find Papillons at shelters near you or in specific states. 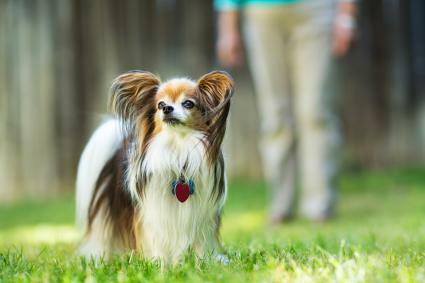 You can also set up New Pet Alerts to notify you if a Papillon becomes available near you. Petfinder - This adoption site will help you search for adoptable pets nationwide by entering the breed and your zip code in their search function. You can also set an alert to be emailed if a Papillion is available in a shelter near you. Rescue Me - This national website lists Papillons available in shelters nationwide. You can pull up a visual map of the country and see the number of dogs in each state with contact information for the shelter or rescue group. Papillons do become available in local city and county animal shelters as well as private rescue groups that work with all breeds of dogs. The best way to find Papillons in these shelters is to inquire with them directly and let them know you are interested if a Papillon becomes available. You can find these groups using the Petfinder and Adopt-a-Pet websites which list local groups based on your zip code. You can also contact your local city or county animal control office to find out about public shelters in your area. 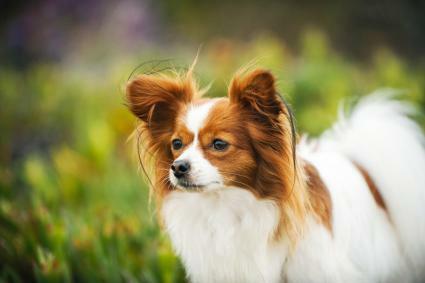 Papillon dogs have physical and emotional traits that should be considered before adopting one. Papillons have specific grooming, house training and household lifestyle needs. It's best to learn more about them before deciding if this is the right breed to adopt. If you're thinking about adopting a Papillon or possibly buying a puppy instead, there are a few benefits to going the adoption route. When you adopt a Papillon, you are saving a dog's life, especially if it is in an animal shelter. This is true for Papillons in long-term foster home. Adopting a dog allows a new dog that needs a place to go to have its spot in the foster home. Many private adoption organizations specialize in dog breeds and the mission of these breed-specific groups is to educate, train and assist in placing dogs in homes of qualified pet owners. 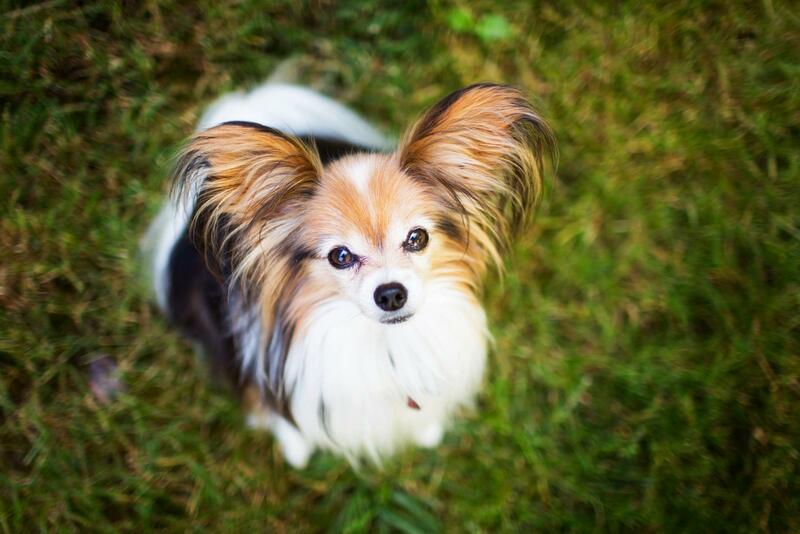 A Papillon rescue group will be made up of experts on the Papillon breed. 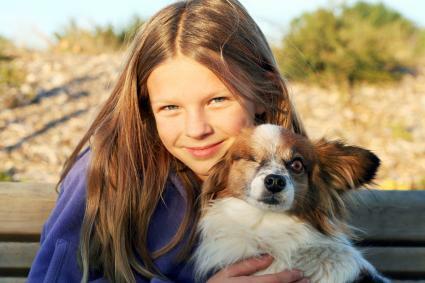 They will understand the dogs' inborn traits and know what to look for in the mental and physical health of the animal. If you're a new Papillon owner, they can be an incredible wealth of information and support. Most dogs that are available for adoption are adults, which has its advantages. Adult dogs may already be trained and possibly house broken. 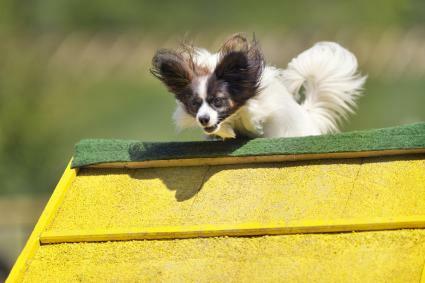 An adult Papillon may have outgrown his hyperactivity of puppyhood. The adult dog's personality is already developed, so you will be able to see if he is timid, noisy, shy, friendly or playful. You can ask the adoption center about the dog's health, personality and training so you know what to expect if you decide to adopt. In some cases, Papillons put up for adoption may have physical or emotional problems from neglect or abuse. Consider your ability to spend time training and loving an abandoned and inadequately socialized Papillon before you adopt. It is never a good idea to adopt a dog and not be totally committed to keeping him, regardless of his behavioral problems. Is Papillon Adoption Right for You? Adopting a Papillon requires a lot of thought. It can turn out to be a wonderful experience if you understand the breed and you're truly committed to providing all the care, training and love these dogs need to become good companions.